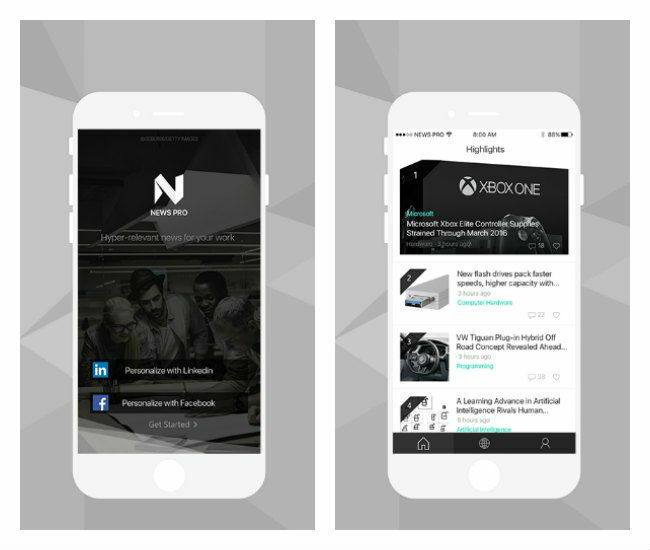 Microsoft Garage is a project by the company that lets its employees create any apps for any platform that they want to. 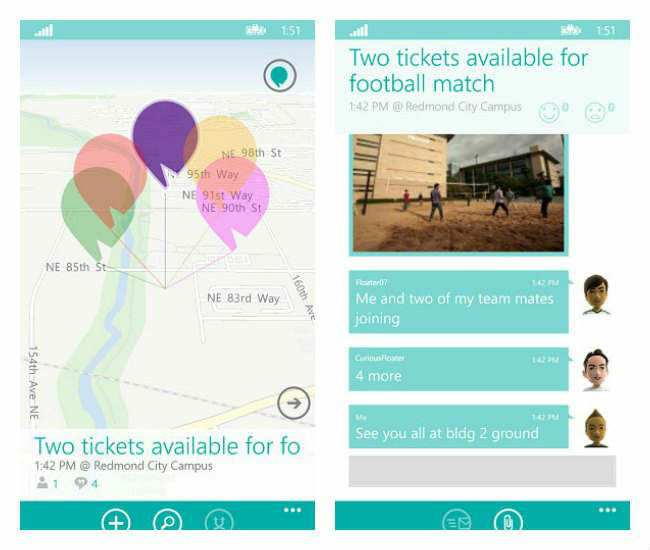 Here are some of the best from Microsoft's Garage project. The Hub Keyboard lets users “stay in context” by removing the need to switch between apps. The keyboard lets users access content from different services without the need to switch between apps. 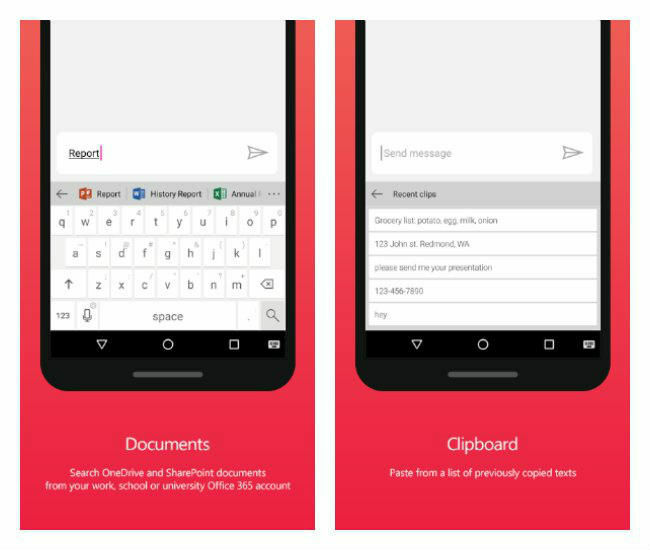 Above the top row of the keyboard are icons - the first lets users paste text and check out what was recently copied as well, the second allows them to share documents from OneDrive or Sharepoint., the third lets users share contact information, while the last lets users translate text. Although this app is geared towards the business user, there are some features of it that will appeal to the average user. 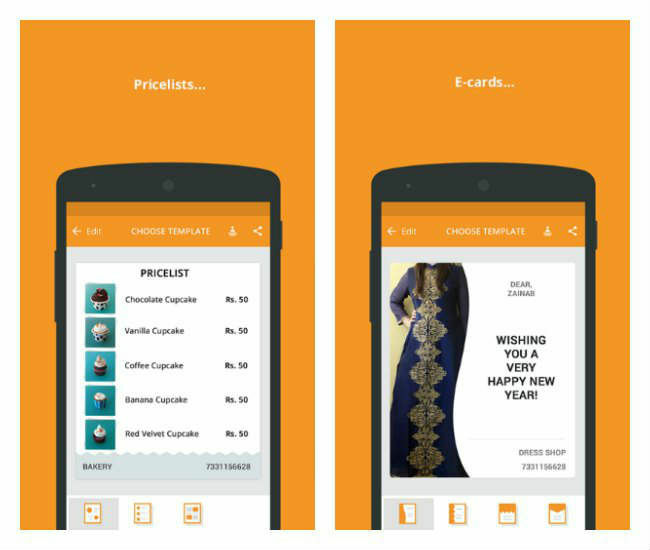 Sprightly allows users create price lists, catalogues and flyers quickly with images stored on the phone. Users can create e-cards as well. The content can then be shared on WhatsApp and Facebook, although developers have said that more options will be added soon. 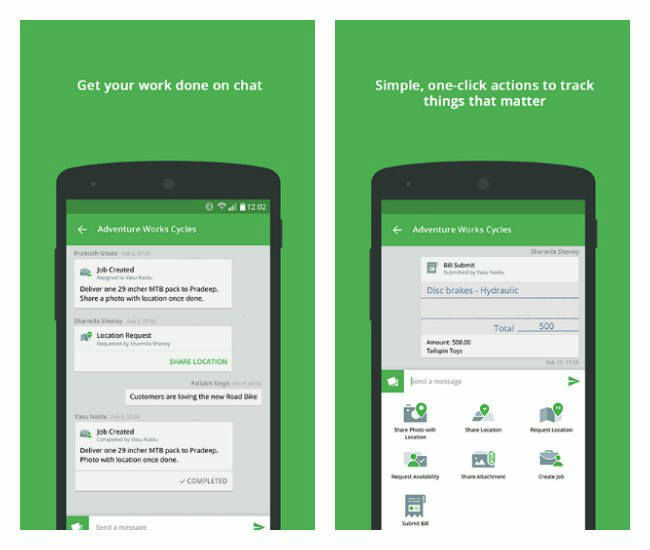 Kaizala is a chat app that allows users keep track of their work. Those using the app can notify others about their current status and location. It can also be used to assign jobs and request for updates. Users can also start a separate chat based on projects or teams. The developers state that Kaizala can work properly even on 2G network speeds. 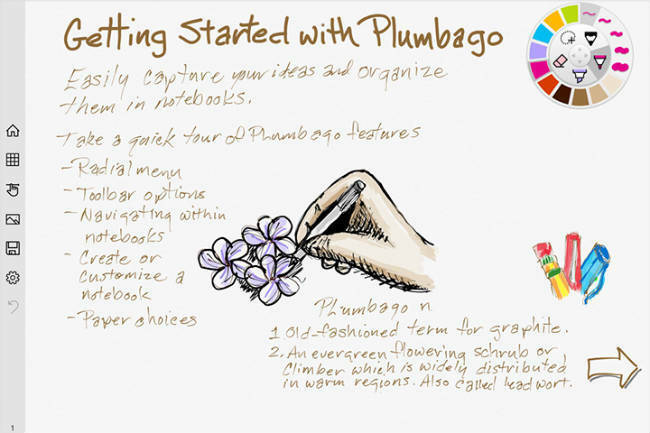 While the Plumbago app is available on the Windows Store, it is specifically designed to be used with the Surface tablet and Surface Pen. The app converts the tablet into a digital notebook, allowing users to scribble to their hearts content. The app also smoothens handwriting to make it easier to read content. It also features realistic ink and paper, for an added dash of realism. The Fetch! app is a fun app for dog lovers. This allows users to find out what breed of dog they, or their friends, look like. 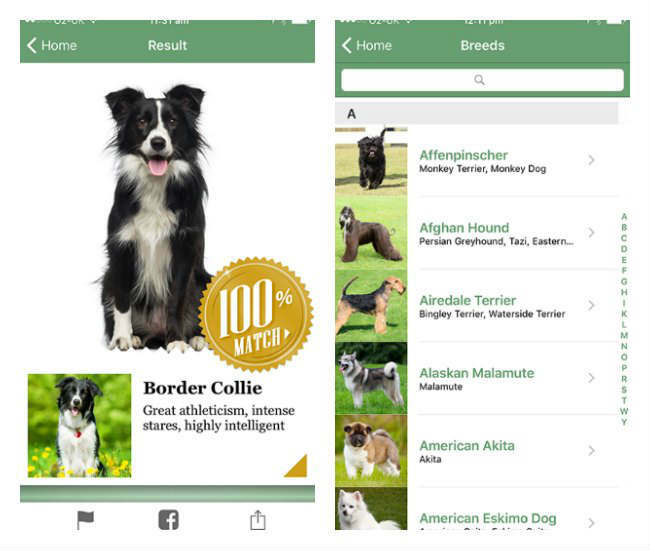 The app also has a collection of information about a certain breed’s disposition, size, coat, and even what type of family is suited for each breed. It is also accessible via the browser by visiting What-Dog.net. News Pro lets users see specific news related to their business. Users will have to sign in via LinkedIn or Facebook, and the app would sync to the profile and show news related to their business. The Highlights section shows users a list of top stories, while the Explore tab lets them view stories according to industries, organizations, skills and products. This app is great for all those who have trouble getting up on time. 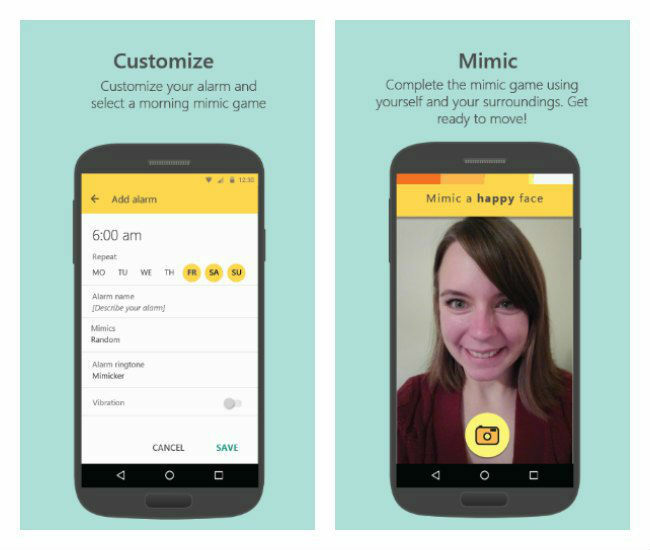 This alarm clock app lets users play a small game if they wish to turn off the alarm. This could range from speaking a phrase, mimicking a certain expression, or taking a picture of a certain colour. If the task isn’t completed within a stipulated amount of time, it will assume that the user has fallen asleep again, setting the alarm off again. 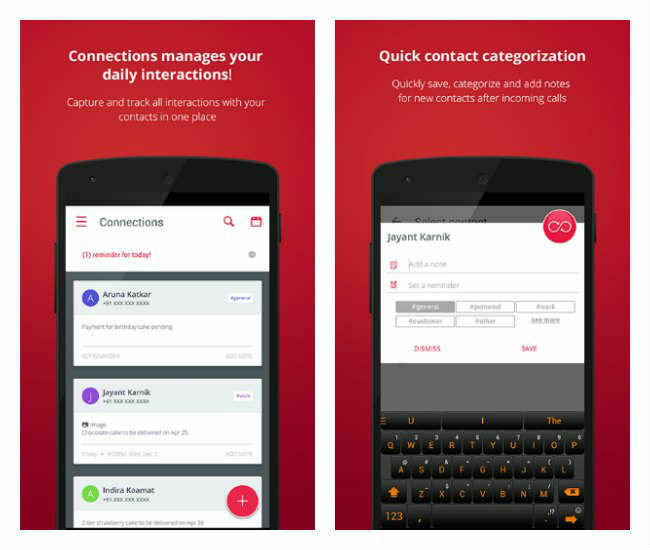 As the name suggests, the Connections app lets users manage their relationship with their contacts. The app can let users note important information related to a contact after meeting or calling them. These notes will be displayed the next time the contact gets in touch via calls or messages. The app also allows users to add pictures from the phone gallery to have a visual note. The app is currently only available in India. 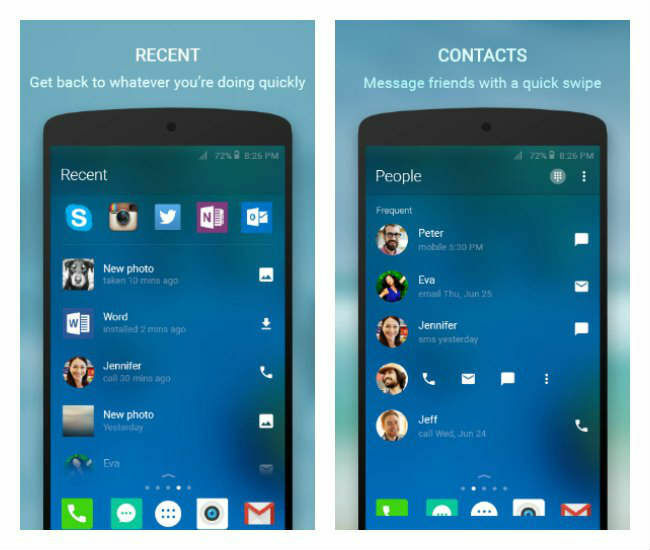 Arrow is a launcher for Android that focuses on a user’s favourite apps as well as their contacts by putting those on their home screen. There is also a separate screen for reminders, and a ‘Recent’ section that lets users see their recent actions like photos, downloaded files and more, and get back to them at convenience. The Floatz app is a great way to share ideas anonymously with people around a location. Once an idea has been floated, others can comment on it. Users can also share images, or ask questions. Due to the anonymous nature of the app, developers encourage users to express their feelings freely. 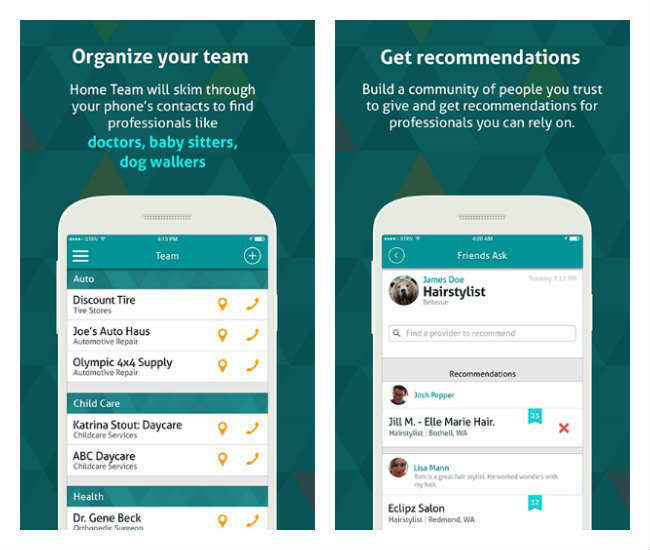 The Home Team app is a way for users to find and share recommendations for professionals like plumbers, electricians, etc. Since the recommendations come from trusted contacts, the developers hope that this would add another level of trust with the professionals that are hired. Users can connect with their friends via Facebook, or join a work network to share recommendations with colleagues. 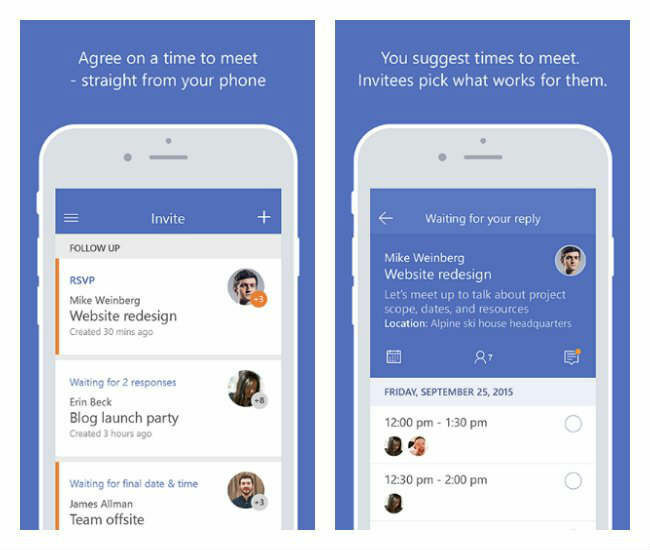 The Invite app is designed to let groups decide and agree to meet at a certain time. When someone suggests to meet up, the user get to select the times that they will be available. The invitee(s) then get to pick the times that would suit them the best. The idea is that the time that is most optimal for most will become the agreed-upon time. Invitees do not require the app, and can respond via the web. This app will allow users to easily connect to conference calls, and is especially useful for those who make frequent conference calls. 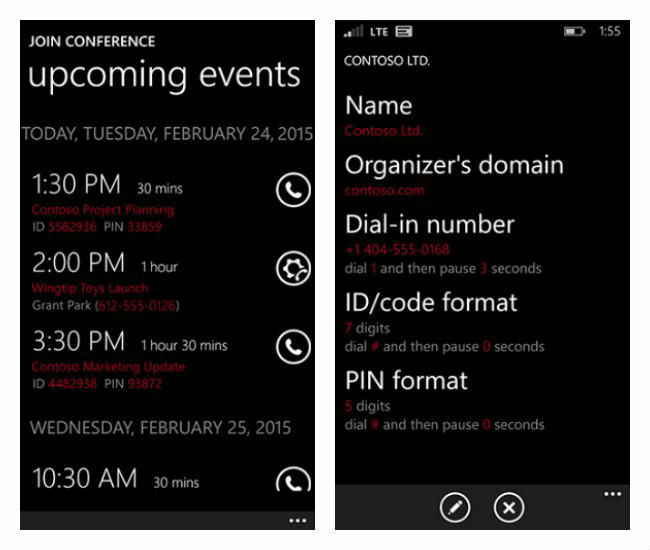 The app is also integrated with Cortana and when the user says, “Join my conference,” the app can figure out which conference is about to start and connect the user to it. The Journeys & Notes app is great for those who travel a lot. Before starting on journey, users can put in start and end locations. Based on these, the app provides little snippets of information such as thoughts or information about certain areas. Users are also encouraged to leave behind their own thoughts as they travel. 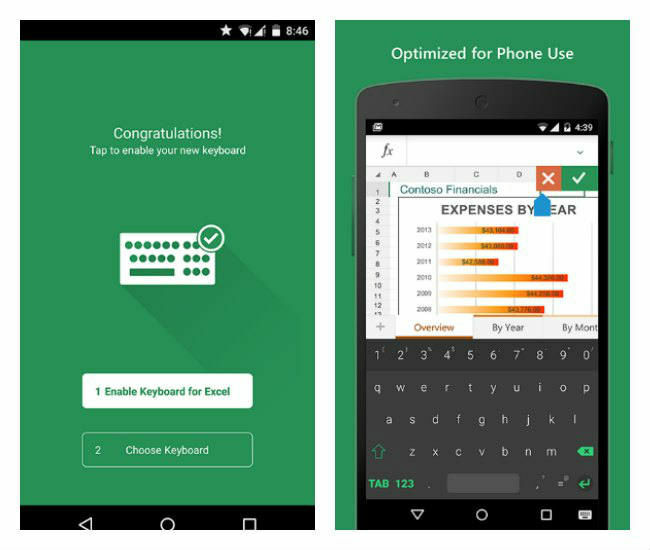 As the name suggests, Keyboard for Excel is designed to be used with Excel sheets. The keyboard features optimized layouts for numbers as well as Excel operators on the keyboard. It also features a tab for navigation across columns, while the enter key can be used to move across rows. 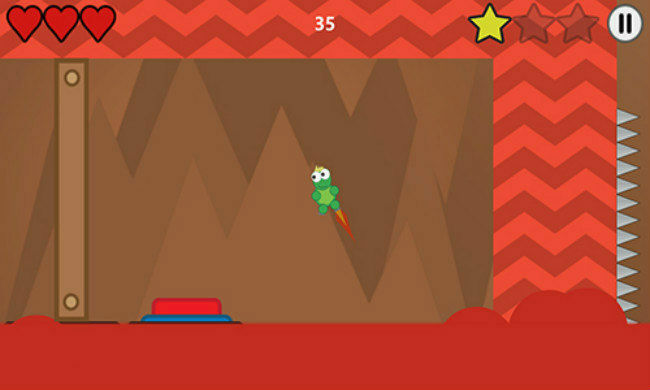 Lost Turtle is a very simple game that asks the user to navigate a jetpack-wearing turtle called Walter. Players will have to dodge obstacles, all the while collecting stars to unlock new levels. 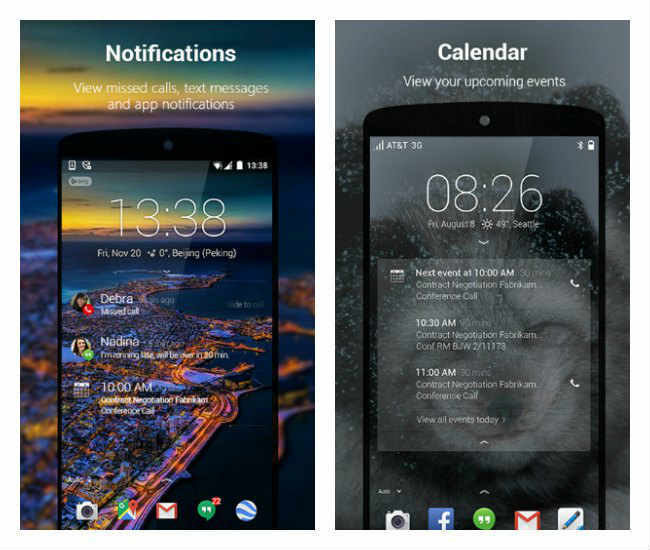 Next Lock Screen lets users access a number of features directly from the lockscreen itself. This includes favourite apps and tools such as flashlight, Wi-Fi, Bluetooth, etc. It lets users select the Bing Wallpaper of the Day as their lock screen image, too. 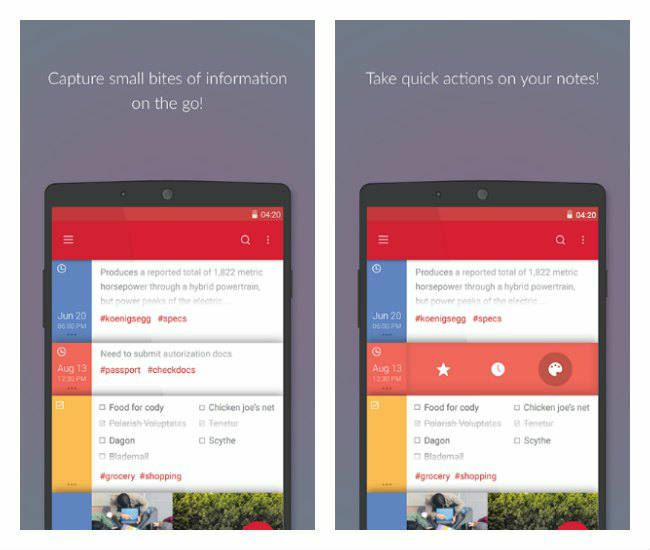 The Parchi app allows users to jot down quick notes. The app can be pinned to the lockscreen so that notes can be taken even when the device is locked. These can tagged with hashtags to categorise them, and you can also set reminders or send these notes over WhatsApp, Email, SMS, etc. This lock screen lets users choose from the most recent Bing Wallpapers of the Day as their background, hence the name. However, it isn’t just a pretty face. 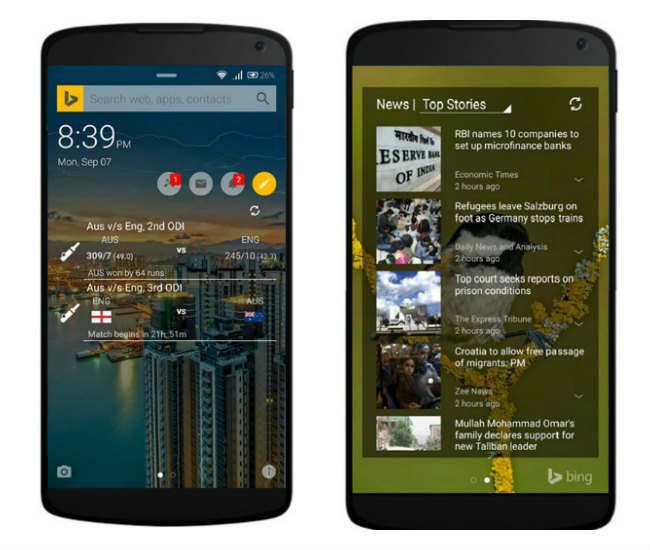 The app allows users to do a Bing search straight from the lock screen, and also get sports updates. Swiping to the right of the lock screen lets users see the top news stories where they can choose a specific category. With Reach Me, users get to share their locations with their friends, along with turn-by-turn directions on how to reach it. It’s a smart way of avoiding the confusion that sometimes occurs with verbal directions. Receipt Tracker lets you keep track of your numerous receipts. 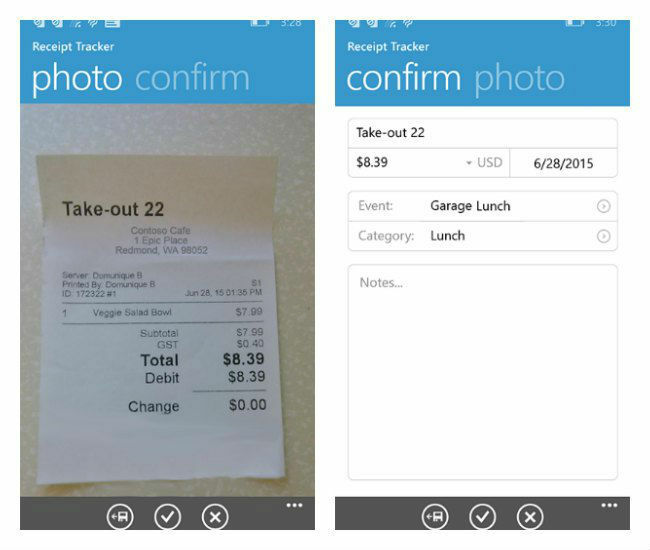 The app uses Optical Character Recognition to get information from photos of receipts. These are then used to categorize expenses into a collection which can then be emailed or sent to OneNote. 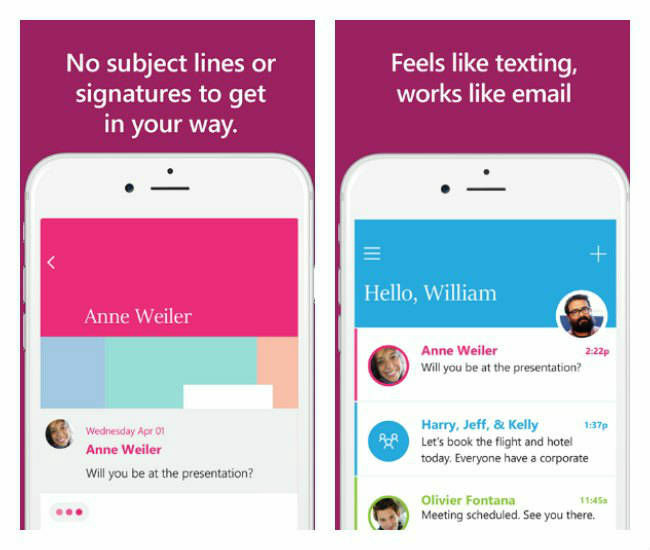 This app is made for people who end up with long email threads where they are just chatting with the recipient. Send converts emails into a instant messaging-like format and removes the need for subject lines, salutations or signatures. Since Send is based on email, it can be used to send messages to anyone with an email ID, and there is no need for any additional sign-ups. 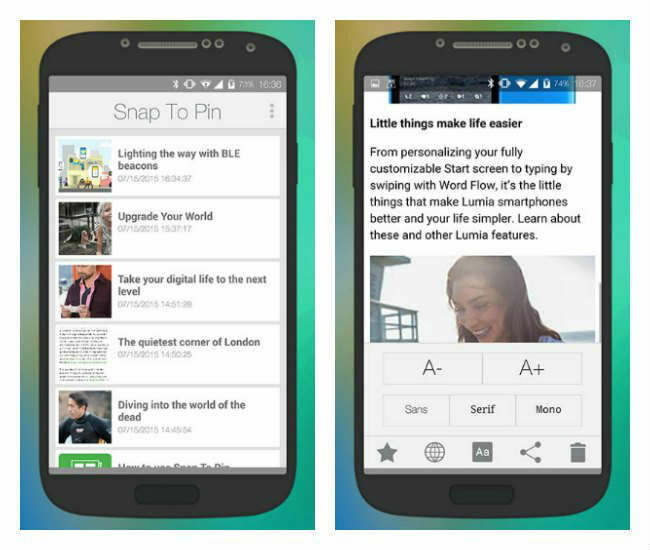 Snap to Pin lets users save articles from their apps to read later. 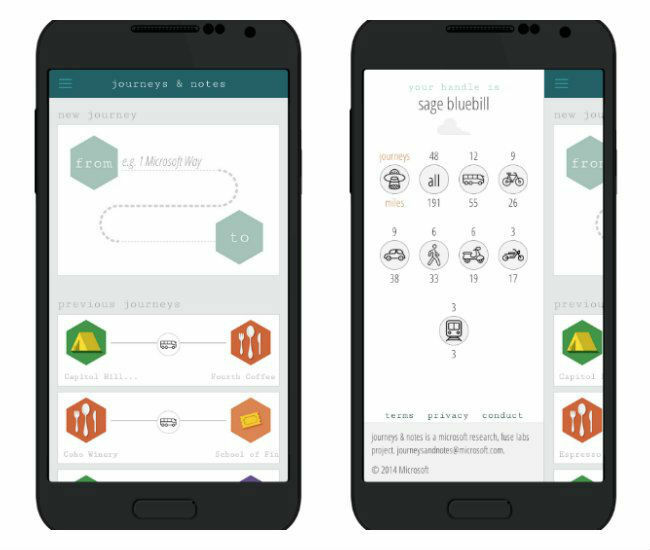 The app recovers the web address of a user's captured screenshot and offers a reading experience free from any advertisements. The articles can be sent to OneNote for editing, or shared with friends. Sound Stack is a simple music creation app. 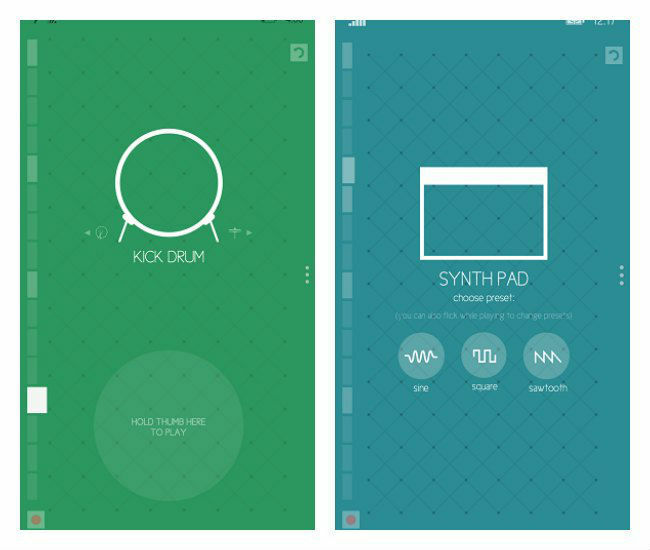 It allows the phone to be used as a drum kit or as a synth pad. The app can also let users layer chords, rhythms and melodies over each other to create loop-based compositions. Users are also free to change the key or tempo. Once a song is finished, the audio file can be saved on the phone or shared via SoundCloud. 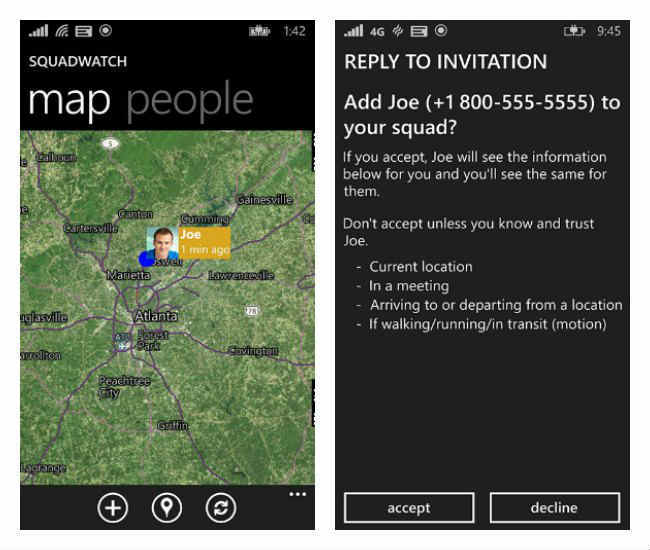 Squad Watch is designed to keep track of the ones close to you. 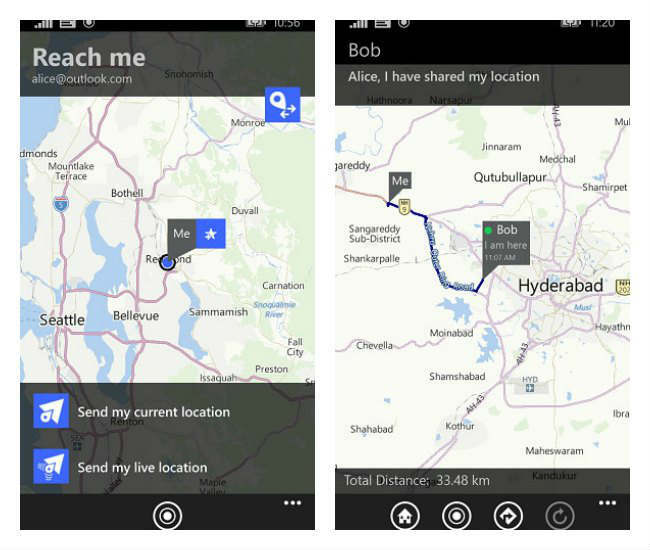 The app shows where you or your loved ones are, and what you are doing in real time. However, for the app to work, all users must have it installed on their Windows Phones. If they don’t have the app, the contact will get an email or text with an invite to download it. Tossup lets users quickly know their friends’ opinions on a certain query. 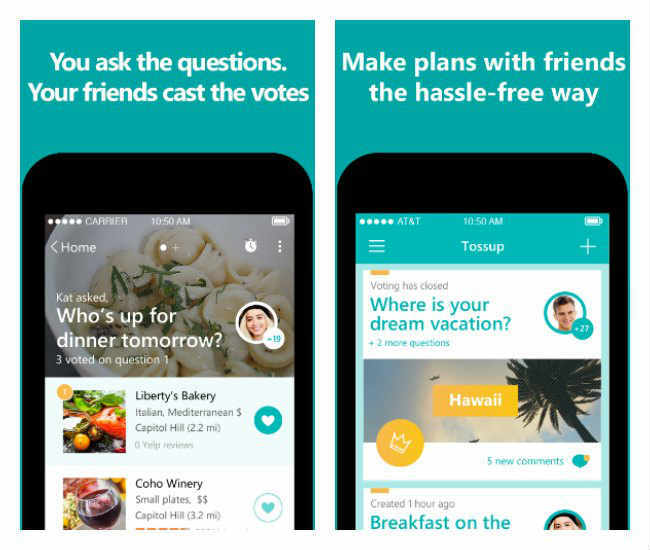 The app lets the user ask a question, and their friends get to cast a vote. Tossup is especially useful when a user needs quick answers from their friends and not idle conversations. 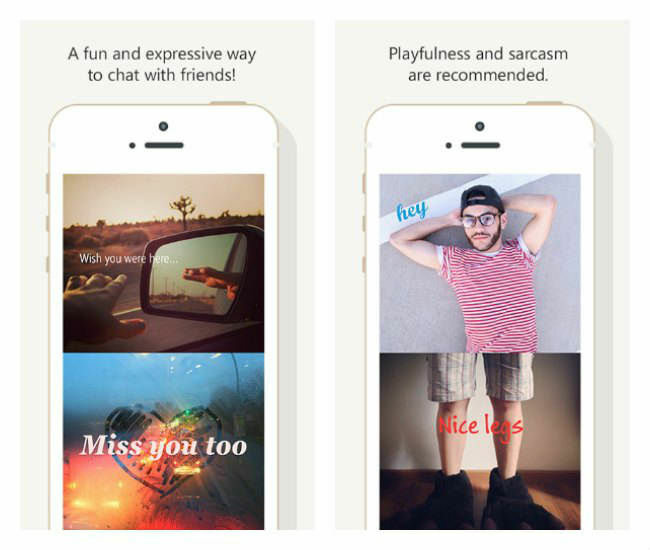 This app ‘twists’ the idea of conversations. Instead of sending a text message to a friend, Twist sends an image that takes up half the screen, to which your friend can then respond with another image, and the two images are merged to form a visual 'conversation'. Work Item Studio is aimed at users of Visual Studio Online. 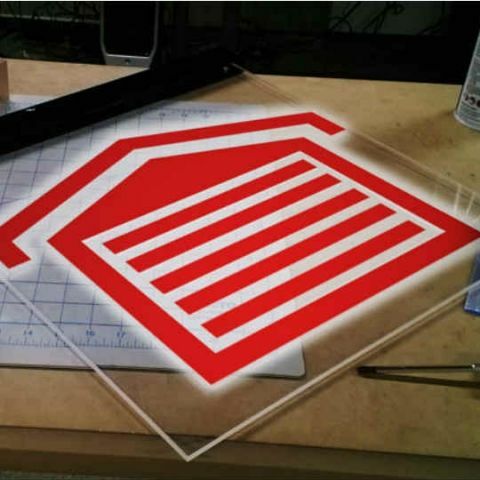 The app allows users create, edit and view work items from the service. 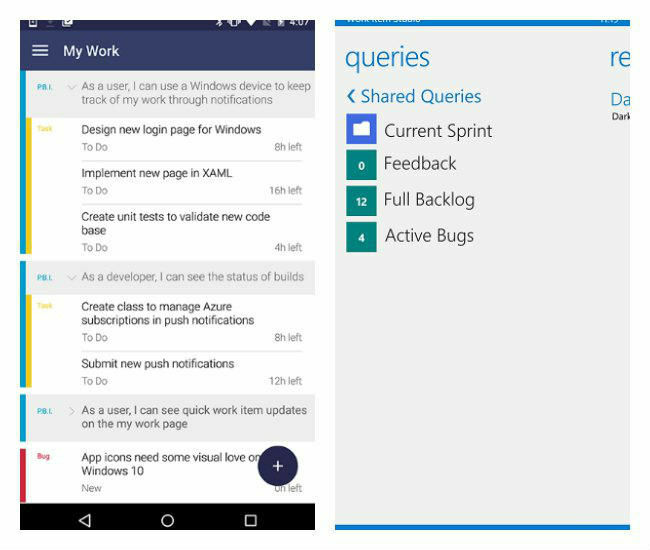 Users can track the status of each work item and work query by adding them to the list of in-app 'favourites'.